Stroke is an increasing reality for more Americans today, young and old alike. Almost 800 thousand people suffer strokes in our country each year and 75% are first occurrences. Of the total, 140 thousand people will die as a result of the stroke or its attendant complications. While there are known risk factors, there are literally no precursor signs that can tell when a stroke is about to occur. It can only be seen in the moment it occurs and sometimes even then neither the person suffering it nor those around them can tell. Stroke, more formally called central nervous system infarction, results from loss of blood flow to the brain, whether from a blockage (ischemic) or from a blood vessel rupture (hemorrhagic). As can be easily imagined, time is a factor in treatment. With each moment wasted, the quality of life for the stroke survivor worsens and the likelihood of death from stroke increases. Ischemic diseases, which include stroke, are the leading casue of death worldwide and fourth in the US. Within the US, stroke mortality rates are highest in the rural South, where almost 80% of the population lives more than half an hour away from an emergency department with a neurologist available. Through telehealth, once the process is started, a response can be had in as little as 3 minutes with a diagnostic accuracy as high as 96%. If triaged in an ambulance before reaching the emergency department, diagnosis and treatment can begin even sooner with the added benefit of cost savings of up to 70%. Part of that quick treatment is a “clot buster” drug known as tPA (tissue plasminogen activator). At present, only 3%-5% of stroke patients receive it because it is only effective if administered in the first 3 hours after stroke onset, and it is even more effective if done in the first hour. But this is impossible if an emergency department has neither an on-staff neurologist nor access to telehealth. Amid sweeping and continued cuts to rural health budgets, telehealth is quite possibly the only answer. 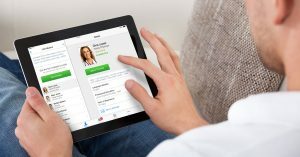 How do we know that telehealth works? Because in almost 75% of cases where telehealth was available for stroke patients, tPA was administered within its effective time window. Those patients who receive anti-clotting medications in the early minutes of their stroke showed a 250% better recovery at the 3-month mark than those who did not. Even for the 80% of stroke patients who survive, behavioral, cognitive, and physical impairment can last for anywhere from weeks to a lifetime. 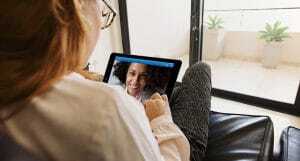 With the quick administration of tPA that telehealth makes possible through its quick, accurate consultation services, those effects can be minimized or even eliminated. Meanwhile, it enables a massive drop in the estimated $1 billion per day the US expends in care for stroke victims and lost economic activity. 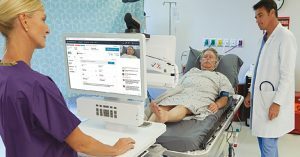 Whether taking a purely utilitarian view of dollars and cents, or a human view of moral sense, telehealth is the way to go in the future of stroke care.